All seventy Clow Cards have escaped! Each one flows with a unique and powerful magic, and it’s up to you to help collect them! Experience and capture seventy different experiences, each a manifestation of a Clow Card. 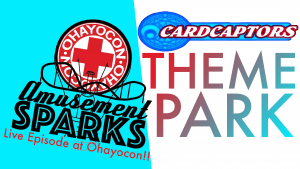 This episode, the premiere of season four of AmusementSparks, was recorded live at Ohayocon 2018! This episode features Joe of Brave World Anime.